On Saturday I attended another insect identification course, this time on Solitary Bees and Wasps. These informative courses are run the Hampshire Arts and Museum Service at Chilcomb House. One of the real treats for me is that the keeper, Christine, allows us a lunchtime peak at the natural science collections. This time she let me handle a femur (thigh bone) from a Dodo Raphus Cucullatus a flightless bird which although only ‘discovered’ in 1598 was extinct by 1662, just over 60 years later. This particular bone was probably recovered from the the Mare aux Songes swamp in Mauritius around 1860. I must say I did feel rather melancholy holding it in my hand. Sadly many more beautiful creatures continue to join it or find themselves on the ever expanding critically endangered list. Despite the losses we really haven’t learnt much as a species. On a lighter note she also let me take a look at a Dodo made entirely from Lego by a company called Bright Bricks which I must say was rather fantastic. 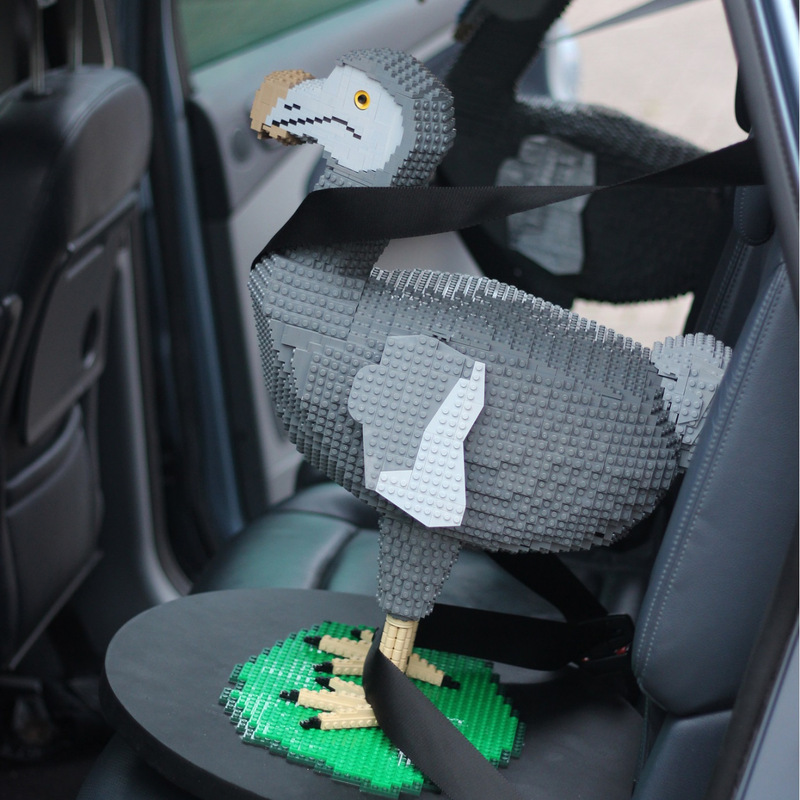 A whole flock of these and other extinct animals made from children’s building bricks can be seen at the Lost World Zoo event at Milestone Museum in Basingstoke until the 27 April. Older children can make their own Dodo using a simpler kit, whilst younger children can build their own ladybird. 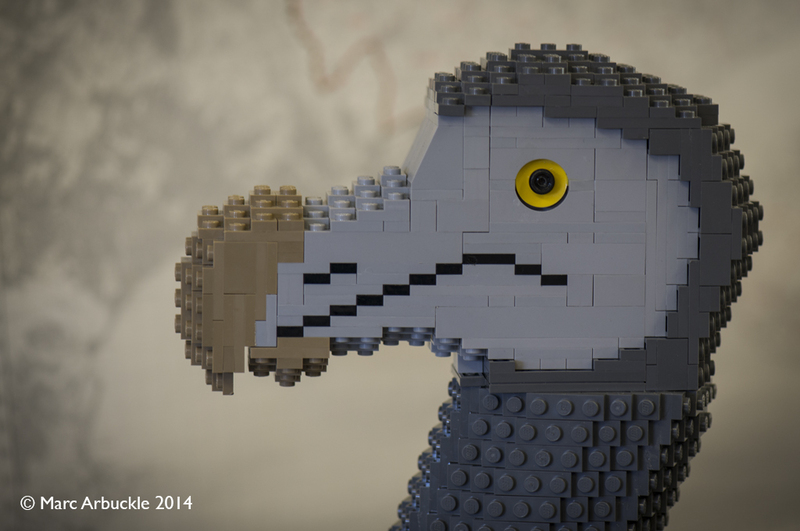 Using another of the Bright Bricks kits the museum has made this rather cool Dancing Dodo video. Delivering two more Dodos to the museum. Photo courtesy of Bright Bricks.